Tambunan is a small district located in the interior of Sabah Malaysia. If you come to this area, this area is like a valley and surrounded by mountains ranges Crooker. Many say, in terms of geography, the area is like a small village in the country's New Zeland. This area only has a small town known as the Pekan Tambunan. This small town has become a major focus of the population in this area and to your knowledge, the majority of people here are ethnic Kadazan Dusun. This area has seventy villages and most of the population worked as farmers. Name 'Tambunan' is a combination of two heroes of the name of the village was once called, Tamadon and Gombunan. If you come to this area, you will see a monument statue hero both located in the heart of this small town. 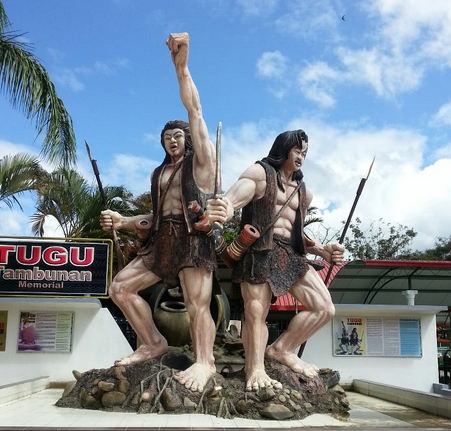 Tambunan district not many places to do but I will give you some interesting proposals. I was born in this area and know where you are interesting places to visit. I think when you read this article, you may come from overseas tourists or residents from this area. 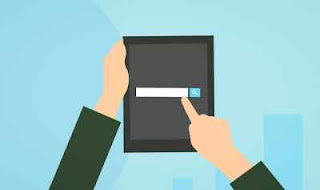 Well, this is my recommendation when you are in this area. TVRC is a small resort near Pegalan River. Chalet for visitors is built on the traditional home of the village and constructed nature of bamboo trees. The atmosphere is quiet and peaceful here and you can bring family or friends to stay at this place.This area became the focus of the public on the weekend to see a small lake and serve as a major attraction. 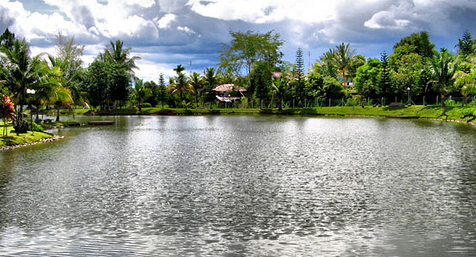 Small lake in the resort has many types of fish. The resort also provides a camp site, lodging, and restaurants for visitors. The waterfall is very popular in this area and becomes the focus of many visitors from all over the state. Every day and on weekends, the waterfall is visited by many people. 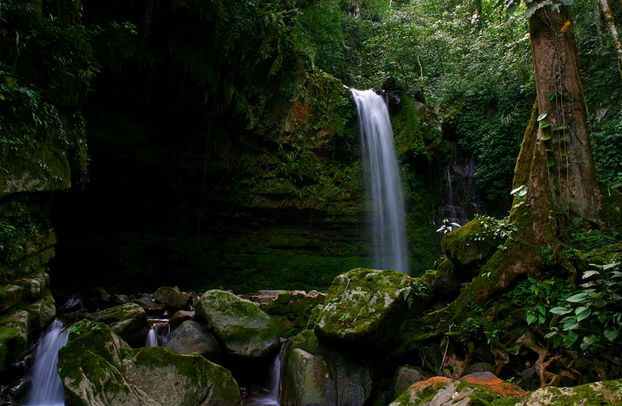 This waterfall is located in the Kampung Patau Tambunan. If you wish to leave this place, you can stay in a home stay near the waterfall. This mountain is the second highest mountain after Mount Kinabalu in Malaysia. This mountain altitude 2642 meters and filled with a lot of pitcher plants and rare plants. For a permit to climb through the track Kaingaran Tambunan, you can get in touch with Mr. Salleh Intang at the Tambunan District Forestry Department (Pejabat Perhutanan Daerah Tambunan) at Tel 088-899589. For a permit to climb from the track, Keningau / Sinua, Sook, you can get in touch with Mr. Azman Said at the District Forest Office (Pejabat Perhutanan Daerah Keningau) (DFO) Keningau at 087-331203 / 331330. Actually, for your information, there is another track to the mountain but have not yet declared by the Sabah Forestry Department (Jabatan Perhutanan Sabah). 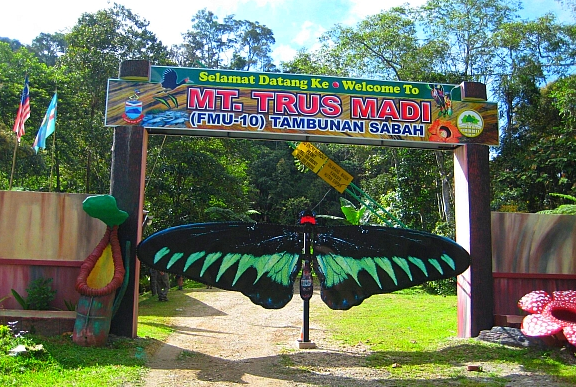 The track is located in Kampung Ulu Monsok Tambunan Sabah. Did you know, this village really close to the mountain? Monsok river is derived from Mount Trus Madi and many residents of the village are very familiar with the forest close to the mountain. In my opinion, they can be used as a pilot to take you climb this mountain. 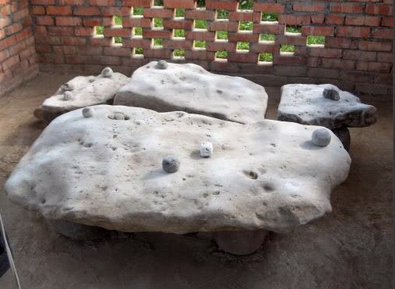 This stone was found during an excavation by mechanical excavators in Pegalan River in 1998 and, a stone gong is located in the village of Kampung Solibog Tambunan. This is the uniqueness of the stone gong, it produces some unique sound similar to the sound of gongs and traditional folk village. Stone gong has its own mystery and if you want to learn more about this stone, you can visit the Village. 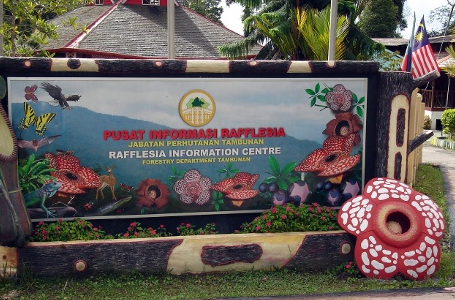 Rafflesia flower is a flower so rare elsewhere in the world. This flower is found only on the island of Borneo. What is interesting about this flower is that it takes nine months to grow but, this interest will die after blooming for ten days. If you are interested to see the beauty of these flowers, you can go to the information center at the address, SA3, 89650 Tambunan, Sabah, Malaysia, and you can also connect in line, 088-211732 for further inquiries. The district will hold an Open market on every Thursday and Sunday. In Sabah, it was known as the “Tamu Besar”. The open market will be the focus of all local residents. 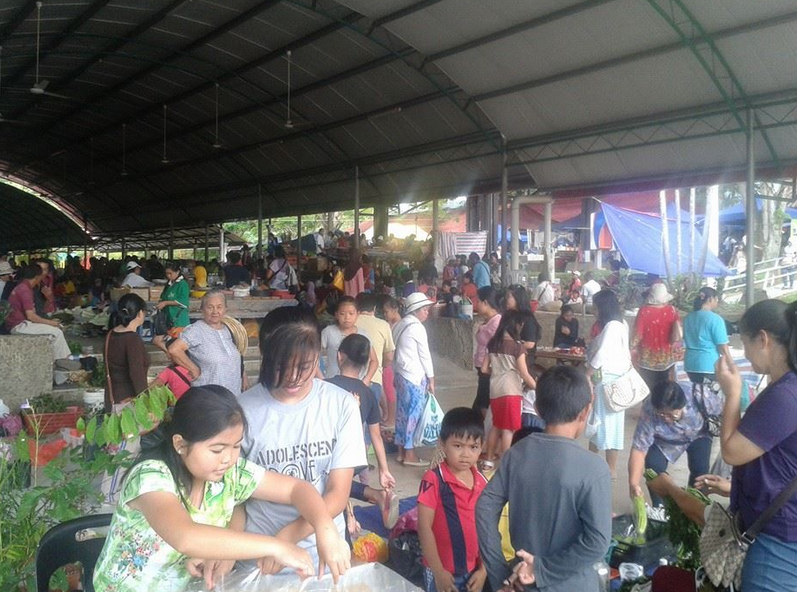 The villagers would come to sell their products such as vegetables, meat, river fish, tobacco, and others. In addition, the seller of a variety of goods from all over the region come to sell their wares here. If you arrive in the morning at this place, you feel the atmosphere is very lively because trading activities and many people gathered here.